Airbus is well-known for setting some pretty ambitious goals. In early 2017, for example, company CEO Tom Enders promised to show off the company's first flying car by the end of the year. While they missed this target, the company's Vahana team has now managed to launch their first drone taxi, dubbed the Alpha One. The Alpha One was able to reach a maximum height of 16ft while remaining in the air for a full 53 seconds before needing to "descend safely." The company notes the Alpha One was fully self-piloted and able to complete a second (presumably similar) flight the following day. 53 seconds of flight time may not seem like much compared to what other similar companies have accomplished in the past but it's still a significant milestone for Airbus. The company calls the test flight a "historic accomplishment," saying the full Vahana team was present to witness it. While the Alpha One doesn't look anything like the flying car renderings provided by Airbus early on, the drone does look considerably more practical and achievable in the short term. 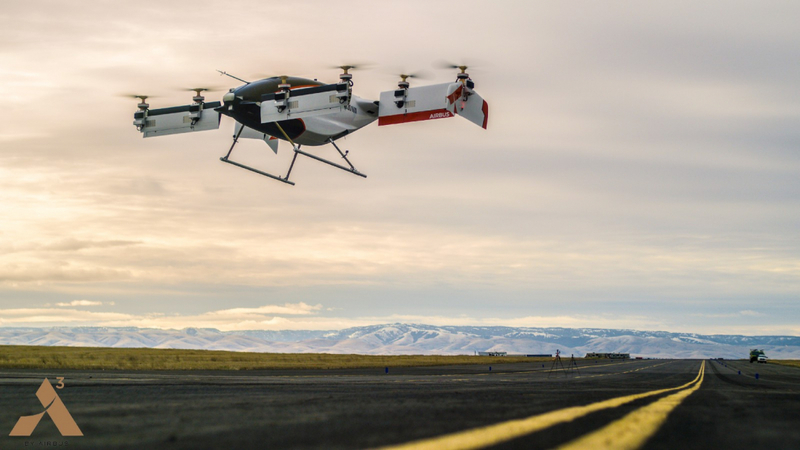 The company will likely conduct several more Alpha One test flights over the coming weeks and months, further refining their design to allow for longer flight times and a higher maximum height.